Get $60 of digital scrapbooking supplies for just 2 cents!! Sample both our subscription clubs with this limited time offer! Sorry, this offer expired November 10th, 2016. 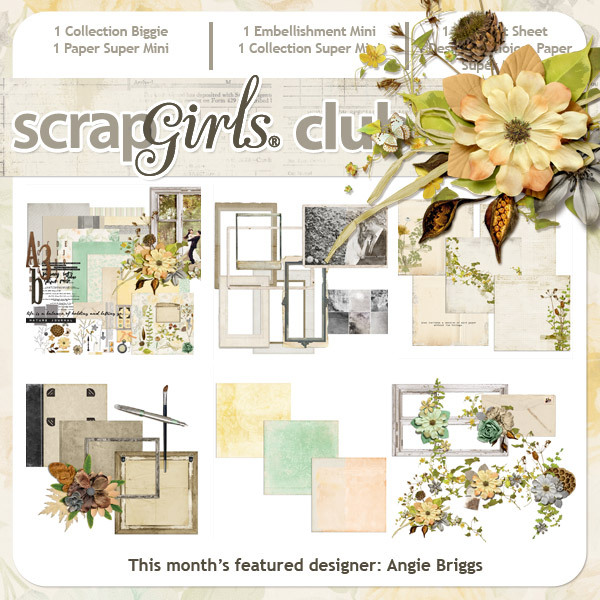 Get the Scrap Girls Club – featuring a HUGE collection of new, coordinated supplies every month! (valued at nearly $40) for just one penny! Simply click on the button below and proceed though checkout. Your download links will be sent to you as soon as you have completed your order. Plus, you can Double It Up!! 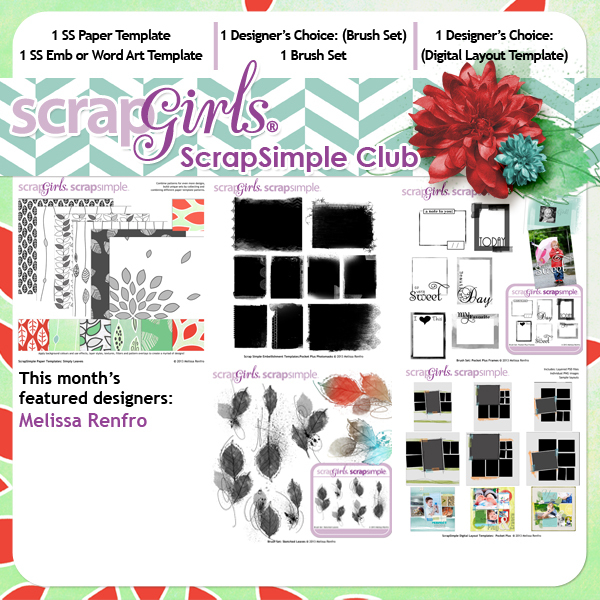 ALSO get the ScrapSimple Club - with gorgeous templates for you to color & customize every month! (valued at nearly $20) for just one penny more! To get this extra club just click on the button below and proceed though checkout. Two spectacular clubs - nearly $60 worth of beautiful supplies - all for just 2 cents. supplies - all for just 2 cents. Don’t Miss Out – this offer is good only until Midnight November 10th and after that it's gone. This is a special limited-time offer for anyone who is not currently a Club member. If you are currently a member of only one of our clubs, you are welcome to try the other club with this promotion. get your 1st month of the Club for a penny. You will be asked to enter your credit card number or sign up via Paypal to check out, and you will be charged $0.01 for each of the clubs you select. You may cancel your trial Club membership at any time and still keep all the gorgeous products included with this promotion. 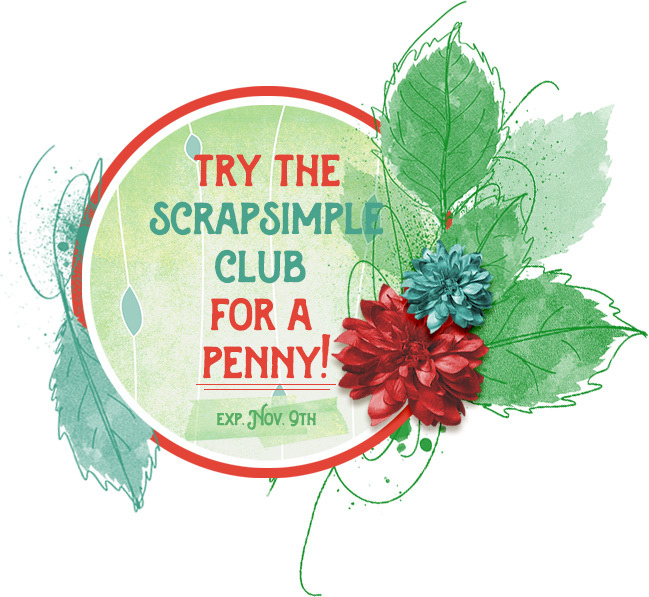 If you do not cancel the ScrapSimple Club before November 15, 2016, your credit card or Paypal account will be charged $6.99 for the November ScrapSimple Club, and will continue to be charged $6.99 every month until you cancel your subscription. 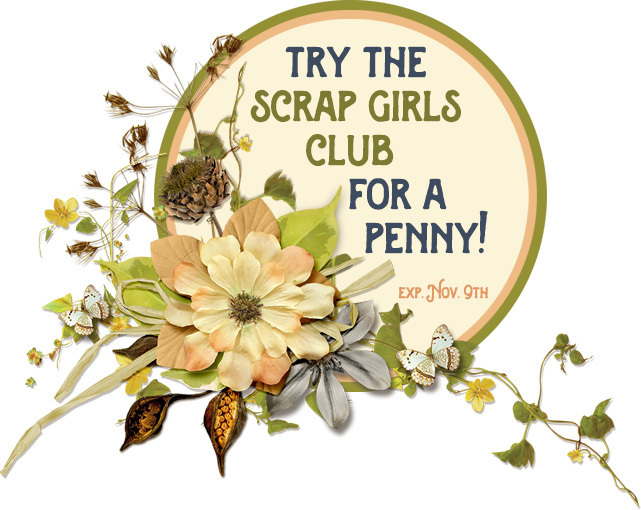 If you do not cancel the Scrap Girls Club before December 1, 2016, your credit card or Paypal account will be charged $9.99 for the December Scrap Girls Club, and will continue to be charged $9.99 every month until you cancel your subscription. To cancel your subscription, simple email us at hello@scrapgirls.com. We will quickly process your cancellation with no questions asked.